Giants draft pick Matt Duffy was having troubles at short-season Salem-Keizer in July 2012, so he turned to his hitting coach, Ricky Ward. "I haven't been hitting with runners in scoring position lately," Duffy told MiLB.com after knocking in six in one contest. "The hitting coach [Ward] said I was trying to do too much and that I was focusing on the results rather than hitting something hard." Ward spoke to Duffy with the experience that comes as a former professional player himself, and now a longtime coach. He spent five seasons as a pro player. He's spent much of the last decade as a minors hitting coach. Ward's playing career began after his selection by the Giants in the 10th round of the 1989 draft, out of Chemeketa Community College. He didn't sign, though, until late, not until after signaling he was instead moving on to Arizona State. 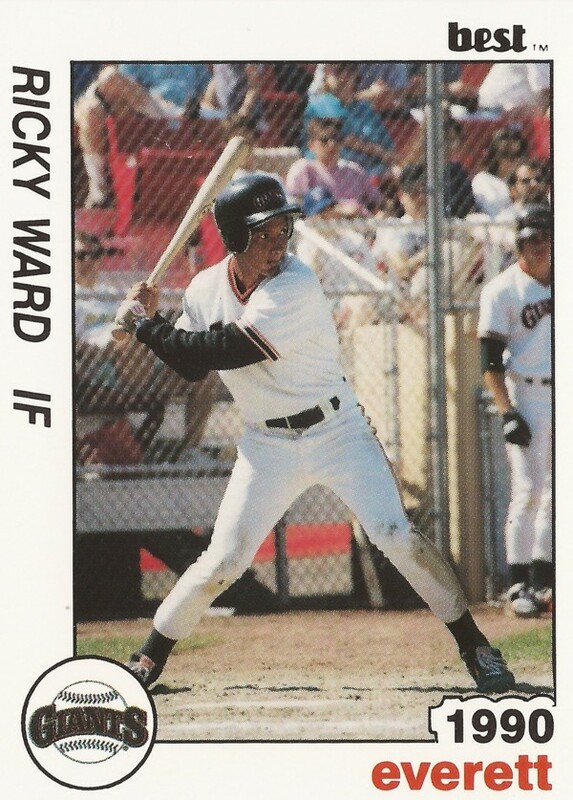 Ward, sometimes referred to as Rick Ward, played his first season as a pro in 1990, at short-season Everett. In 39 games, he hit .262, knocking in 22. 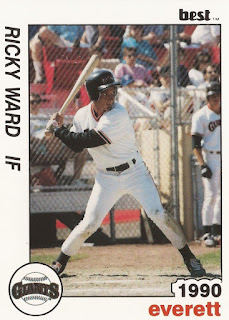 For 1991, Ward moved to single-A Clinton, hitting .278 on the year and hitting 11 home runs. Three of those home runs came in the same game, July 4, each home run representing a $5,000 donation in a nationwide effort by Coca-Cola for a Star Spangled Banner Monument in Washington. Ward moved to high-A San Jose in 1992, then got his first extended look at AA Shreveport in 1993. He moved to the Twins system for 1994, spending time at AA Nashville, but it was his last year as a pro player, a knee injury leading to its end. His playing career over, Ward went back to school, earning his degree from Portland State in 2000. By 2002, Ward was coaching in his hometown, at the University of Portland. He moved to Western Oregon University, before finding a home at Salem-Keizer in 2005. Ward has returned to serve as hitting coach there each year since.